Dr. Robert Goldman, chairman of the United States Sports Academy’s Board of Visitors, recently was named to the President’s Council on Sports, Fitness and Nutrition. 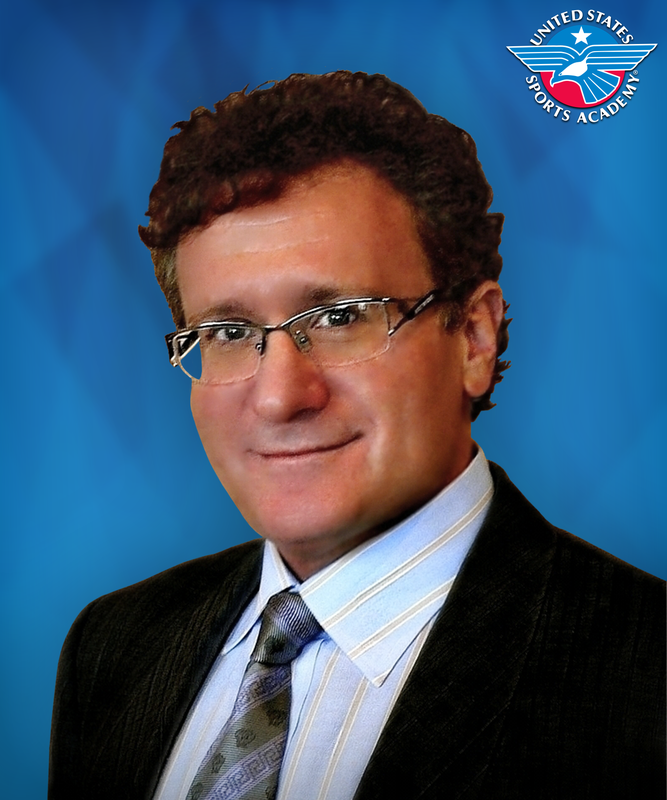 DAPHNE, Ala. – President Donald Trump recently appointed United States Sports Academy Board of Visitors Chairman Dr. Robert Goldman to the President’s Council on Sports, Fitness and Nutrition (PCSFN). According to the U.S. Department of Health and Human Services, the council engages, educates and empowers Americans to adopt healthy lifestyles with regular exercise and good nutrition. The council was founded in 1956 and promotes these ideals to people of all ages, backgrounds and abilities. Goldman also recently earned the 2018 Arnold Classic Lifetime Achievement Award from Arnold Swarzenegger at the 30th anniversary celebration of the Arnold Sports Festival in Columbus, Ohio. The award is presented annually to an individual who has made notable contributions to the fitness industry and offered a lifetime of service to an enhancement of sports performance and promotion. The festival is the world’s largest multi-sport fitness weekend, with more than 80 sports and events drawing more than 20,000 athletes and 200,000 sports fans. Goldman founded the International Sports Hall of Fame (ISHOF) in 2012 to honor individuals who have made outstanding contributions to sport. Inductions are held each year at the Arnold Sports Festival. Arnold Festival co-founders Schwarzenegger and Jim Lorimer were among the inaugural ISHOF class, and Academy Founding President Dr. Thomas P. Rosandich was inducted in 2017 for his leadership in creation of the Academy. A member of the World Hall of Fame of Physical Fitness, Goldman has made numerous contributions to health and fitness as a doctor and an athlete, including holding more than 20 world strength records and creating ISHOF. The Boca Raton, Fla., resident is recognized as a pioneer in anti-aging medicine, which combines cutting-edge research and the latest medical breakthroughs on longevity with the objective of increasing human life spans. Goldman has developed practical ways for integrating into daily lives information on how to live longer and healthier. Goldman co-founded the American Academy of Anti-Aging Medicine (A4M) in the 1990s with Dr. Ronald M. Klatz. The organization now has 26,000 members and operates worldwide conventions and medical education programs that award board certifications and fellowship training in anti-aging regenerative medicine. Goldman has spearheaded the development of numerous international medical organizations and corporations and taught at many national and international universities and centers, holding visiting professorships around the globe. He is a Fellow of the American Academy of Sports Physicians and a Board Diplomat in Sports Medicine and Board Certified in Anti-Aging Medicine. He has chaired the International Medical Commission that oversees sports medicine committees in more than 184 nations and is President Emeritus of the National Academy of Sports Medicine. Goldman in 2012 won the Academy’s Eisenhower Fitness Award, which is presented annually to a person who has shown outstanding individual or cumulative achievement in fitness and has contributed to the growth and development of sport fitness through outstanding leadership. He also won the Academy’s Distinguished Service Award in 1990. Goldman, who also previously served on the Academy Board of Trustees, recently was awarded an honorary membership in the World Head of Family Sokeship Council, the foremost collective group of accredited and internationally recognized martial arts masters and grandmasters in the world. He was also named a Living Legend World Martial Arts Ambassador and an Advisor to the World Martial Arts Alliance at the Elite Black Belt Martial Arts Society in Orlando, Fla. He was given the rank of 7th Dan Black Belt by the All-Pro Tae Kwon Do Hall of Fame in Los Gatos, Calif., where her is a Hall of Fame member and recipient of the Living Legends Award. The Academy’s Board of Visitors is comprised of accomplished leaders from a variety of sport disciplines and professions who serve as an important sounding board for the Academy related to issues of sport and education generally. These individuals work with the Academy on developing new ideas and trends, including providing suggestions on curriculum and sports opportunities for students. They have also been called upon to review the doctoral dissertation work of Academy students, present awards on behalf of the institution and undertake short term teaching assignments. The board also works to ensure that society is aware of the unique sport education opportunities available through the Academy and assists with important promotional and ceremonial functions of the Academy.